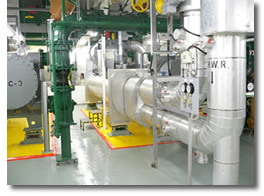 MEP Engineering – IEC Integrated Engineering Consultants, Inc.
IEC’s team of MEP consulting engineers approach to each engineering project provides the technical capabilities that are crucial building blocks between the design and construction process. IEC encourages input from all parties involved in the project: the Owner, the Architect, fellow staff members, contractors and suppliers, throughout the life of the project. As a result, we develop a clearer understanding of the intent of the project, enabling us to produce a better optimized and cost effective project. Our consulting engineers have extensive experience designing MEP systems for both new construction and renovation projects, as well as upgrades to existing MEP systems. The combined professional engineering experience of our team covers a wide spectrum of specialized knowledge and includes schools, laboratories, commercial offices, churches, computer centers, manufacturing and governmental projects. IEC continues to provide high-quality mechanical, electrical, plumbing and fire protection engineering services for hundreds of projects for some of the nation’s leading businesses and institutions.